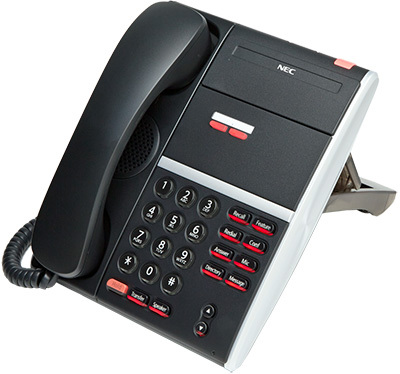 The NEC DTZ-2E-3 Digital Phone addresses that segment of the market that requires an economical entry-level digital desktop device. This telephone has 2 programmable buttons for one-touch access to features, lines, extensions, etc. The DTZ-2E-3 includes a half-duplex speakerphone. Its intuitive and interactive user interface is a universal solution for efficient and professional telephony.